Beautiful two-story, four-bedroom home that has been completely remodeled from top to bottom. As close as you can get to a new house, but ample amount of charm remaining! Located close to transit, in the up-and-coming Roberts Street area - be close to it all, but still feel like you have adequate room to spread out (this house is situation on three city lots - unheard of!). Directions: S Robert Street to Belvidere St, west to Livingston. Home is on the corner of Belvidere and Livingston. I was searching for a Property and found this listing (MLS #5009569). 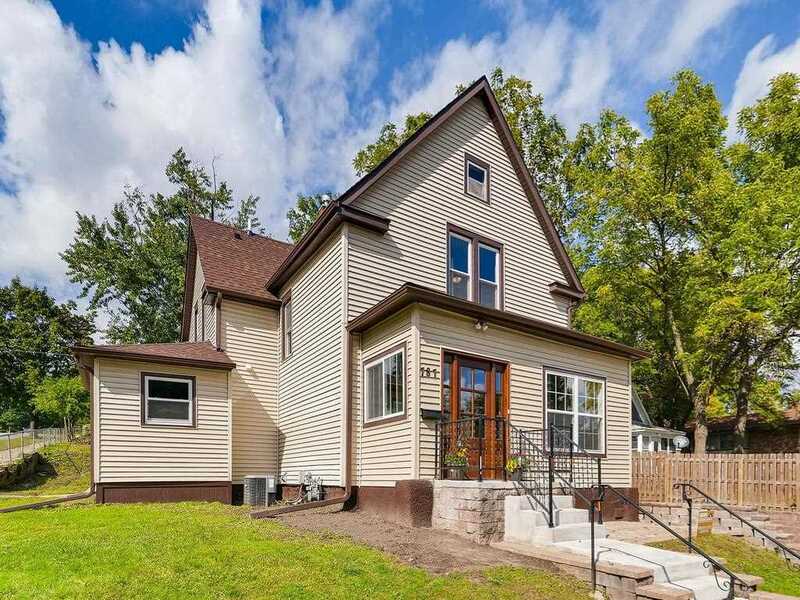 I would like to schedule a showing for 787 Livingston Avenue Saint Paul, MN 55107. Thank you! I was searching for a Property and found this listing (MLS #5009569). Please send me more information regarding 787 Livingston Avenue Saint Paul, MN 55107. Thank you! Listing provided courtesy of Marathon Realty. MLS # 5009569: This property at 787 Livingston Avenue, Saint Paul, MN 55107 is located in the West Side subdivision and is listed for $299,999. MLS # 5009569 has been on the market for 200 days.